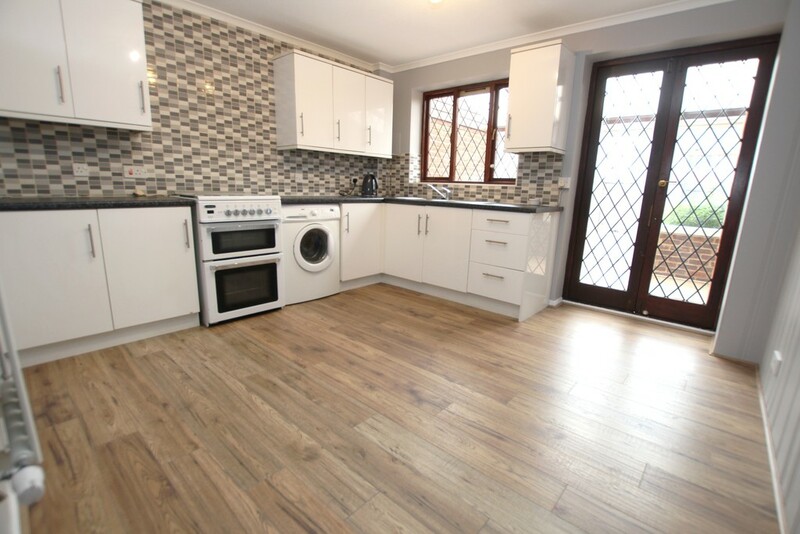 ** NO CHAIN ** Offered to the market with no onward chain, is this very well presented two bedroom staggered terrace house which is situated on a popular development, in a quiet cul-de-sac location. It has just been fully redecorated, including new flooring throughout, and a brand new boiler and gas central heating system installed. The ground floor comprises a bright and airy reception room and a spacious and modern kitchen diner, with a conservatory leading to a low maintenance, paved sunny southerly facing rear garden. Upstairs are two bedrooms and a family shower room. The property also benefits from off road parking to front and a parking space nearby. 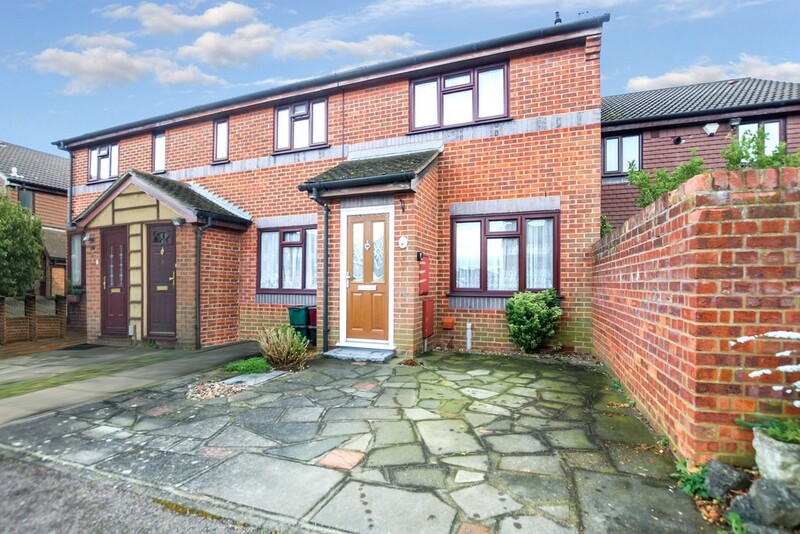 Within easy reach of local schools, shops, bus routes and Zone 6 train station, this property is perfect for those downsizing or for those looking for their next step on the property ladder. We recommend your internal inspection. LOUNGE 14' 1" x 11' 9" (4.29m x 3.58m) Timber laminate floor. Radiator. Stairs to first floor. Window to front. CONSERVATORY: 11' 4" x 7' 9" (3.45m x 2.36m) UPVC construction. Laminate floor. Doors to garden. KITCHEN: 11' 8" x 11' 2" (3.56m x 3.4m) Single stainless steel drainer and sink unit with cupboard under. Fitted range of base and wall units. Local tiling. Plumbed for washing machine. Window to rear. Patio doors to conservatory. FIRST FLOOR LANDING: Carpet. Radiator. BEDROOM 1: 11' 9" x 10' 11" (3.58m x 3.33m) Carpet. Radiator. Overstairs cupboard. Window to front. BEDROOM 2: 11' 3" x 8' 2" x 6'4" (3.43m x 2.49m x 1.93m) Carpet. Radiator. Overstairs cupboard. Window to rear. SHOWER ROOM: Shower cubicle. Low level wc. Pedestal wash hand basin. Ceramic tiled floor. Fully tiled walls. Heated towel rail. Window to rear. GARDEN: Low maintenance rear garden mainly paved with some occasional shrubs. PARKING: Hardstanding to front AND additional allocated parking space nearby.